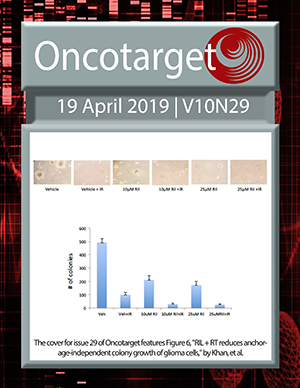 The cover for the December issue of Oncotarget was taken from Mira et al. Entitled " Lovastatin regulates Tg-neu tumor vascular phenotype. ", shown is FITC-lectin-perfused Vhcl-. Inhibition of BET bromodomain proteins as a therapeutic approach in prostate cancer.